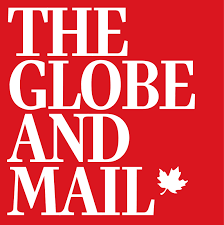 Our CEO Josh Laczko, and Rebel Heart founder Norm Kellert, were recently featured in a Globe and Mail article on the importance of preparing for the future of company ownership, and how Norm and Josh had successfully navigated this transition. Here is an except of the article as it was featured in the Globe and Mail. March 4, 2019. The owner of Edmonton-based Rebel Heart Trucking hired Josh Laczko, above, as a part-time worker and was impressed with his reliability, knowledge and overall competence. This allowed the owner to begin a transition to Mr. Laczko purchasing the company. Josh Laczko was able to take over Rebel Heart Trucking through a leveraged buyout, quarterbacked in part by advisors from MNP LLP, an accounting and advisory firm in Calgary. That’s the option that Norm Kellert, founder of Edmonton-based Rebel Heart Trucking, took in 2013. The previous year, Mr. Kellert had hired Josh Laczko as a part-time worker and was impressed with his reliability, knowledge and overall competence. Mr. Laczko built relationships with staff and clients and gained experience throughout the business, allowing Mr. Kellert to slowly step back. Just as with Microdea and Fulcrum, negotiations took longer that anticipated: Alberta’s economic downturn took its toll, the pair disagreed over how to value the business, and they had to determine how Mr. Laczko, who had little wealth of his own, could pay for it. The answer was a leveraged buyout, quarterbacked in part by advisors from MNP LLP, an accounting and advisory firm in Calgary. Rebel Heart’s assets were put up as collateral for a loan to Mr. Laczko, and the pair agreed on a vendor take-back agreement, in which Mr. Kellert would get the business back in the case of a default. That kind of gut feeling has a role to play in those decisions, says Mr. Ruskin, who sold Microdea in 2013 and today helps other entrepreneurs with their own transition planning. But it’s not a substitute for step-by-step planning. “A home buyer is emotional,” he says. “A business buyer is not – they’re rigorous, diligent and prepared.